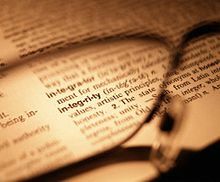 How do we handle our values with integrity in the life of our congregation? Do nothing out of selfish ambition or vain conceit. Rather, in humility value others above yourselves..." (Philippians 2:3 NIV). I am a major fan of following directions. When assembling a piece of furniture for example, I love to lay out all the parts, read through the instructions, and then — beginning with page one — walk through each step until the showroom ready piece is on display. There are times when the instructions are unclear, or when a quality control measure falls short, and a missing piece or lack of instruction causes anxiety. However, most of the time I discover that, if I carefully follow the instructions, the end result matches the product developer's intentions. I also discover that the resulting piece of furniture has integrity. If assembled correctly, it will serve the purpose it is intended to serve for many years. The piece itself will only have integrity if the developer and the assembler have integrity. In other words, no short cuts, no missing pieces, and no duct tape. Before an organization can identify and ultimately achieve desired goals, it must have the capacity to first establish those goals. Before any goals can be established, the organization's leadership must identify what it collectively values. Before an organization's leadership can identify what it collectively values, individual team members must know what they value. Ultimately, among a group of leaders, those values must be prayerfully expressed, negotiated, and renegotiated with utmost integrity before being owned and adopted by the greater community of faith. That is where my analogy stretches to the point of breaking because determining and articulating owned values is much harder than assembling a piece of furniture! With that said, a prayer-filled, strategic and intentional process can be a significant contributor to long-term success. For just as each of us has one body with many members, and these members do not all have the same function, so in Christ we, though many, form one body, and each member belongs to all the others. We have different gifts, according to the grace given to each of us. If your gift is prophesying, then prophesy in accordance with your faith; if it is serving, then serve; if it is teaching, then teach; if it is to encourage, then give encouragement; if it is giving, then give generously; if it is to lead, do it diligently; if it is to show mercy, do it cheerfully (Romans 12:4-8). So, before going any further, take a few moments and prayerfully consider the following question: "As a church leader, what do you value?" Better yet, grab a piece of paper and write down the top five values you believe are critical components of your church's DNA. So, what did you write down? Worship? Scripture? Following Jesus? Love? Simplicity? Community? Ok, that's six values, but my hunch is, you too are struggling to keep your list to five. I also have a hunch your values do not match the random values I just listed. I am also quite confident, that if I came to your church, and we posed that same question to each member of your leadership team, our individual lists would differ, and here's the kicker — that is GREAT! Articulating values is not a contest. It is also not an exercise in legalism. We articulate values as a means of defining in broad-brush strokes those primary attributes that uniquely define why we do what we do as a community of faith. Values can also define what we will not do, even if it means risking our corporate identity. I think the heart of Jesus' message in the parable of the lost sheep speaks to one of his primary values: seeking the lost is more important than placating the found. A leader who is a bully pushes his agenda through at all costs. A sub-group in the church threatens to withhold their contribution if they do not get their way. A leader embraces failed past precedent as a roadmap for future success. A minister sabotages the process by showing up in body, but disengaging in mind and spirit. Articulating values requires rigorous honesty and willingness to allow for rigorous honesty in others. Otherwise, instead of values, you may just end up with one person's agenda. A single agenda, imposed on others, is rarely God-breathed. A lack of integrity in the process will yield lack of integrity in the product and the test of time will surely reveal an end result that the Designer never intended. As a leadership team, choose to identify a set of core values. Prayerfully enter a season of prayer to individually discern those core values. Plan for ample time to gather together and allow each leader to share his or her values without comment. Record all the values on a dry marker board or post-it notes or projector screen and make them visible to everyone. Combine values that are similar, noting how many times shared values are listed. Record the values, distribute copies, pray, and give everyone two weeks to meditate on the collective values that were shared. During this time: Do not lobby. Do not meet to discuss. Just pray. Read your Bible. Listen to the Lord and record thoughts that come to you during this season of reflection. Plan for ample time to share; gather again two weeks later and begin the process of speaking to one another. Do not argue, just discuss. Do not insist or demand or threaten. Instead, walk a mile in the shoes of those who "have different gifts, according to the grace given to each of us." Encourage, listen, speak but do not dominate. Make sure all voices are heard and begin to identify as much common ground as possible. Write down the values that are in common and be sure to express them behaviorally. In other words, "We see this value being lived out in this way by those who are part of this community of faith", or "As leaders, we will model this value in this way." 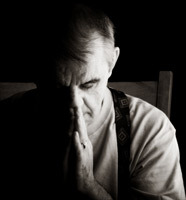 Lovingly and prayerfully negotiate those values that are not embraced by everyone. Try to hear where those who are expressing them are coming from. Limit your list to ten or twelve core values, present them to the body, and ask for a season of discernment in the church as a whole. Publish your values and align your attitudes, choices, actions, and behaviors with those values as you make future decisions. Please note, what I've listed above is simply an example of one process. Another process may work better for you. No process can anticipate every contingency, but a thoughtful process that is undergirded with integrity will surely position you to experience greater long-term viability than just continuing to show up week after week wondering why there always seem to be so many missing pieces. Let's keep this conversation going. How has your church developed its core values and how have those values contributed to a healthier community of faith? "Discovering the Character of Your Church: Values & Integrity" by Greg Anderson is licensed under a Creative Commons License. Heartlight encourages you to share this material with others in church bulletins, personal emails, and other non-commercial uses. Please see our Usage Guidelines for more information.